The Jeremiah Martin farewell tour rolls on. 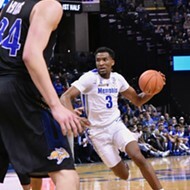 Eighteen days after scoring 41 points in a single half at USF, the Tigers' senior guard became the first player in Memphis history to top 40 points twice in a season . . . or career. 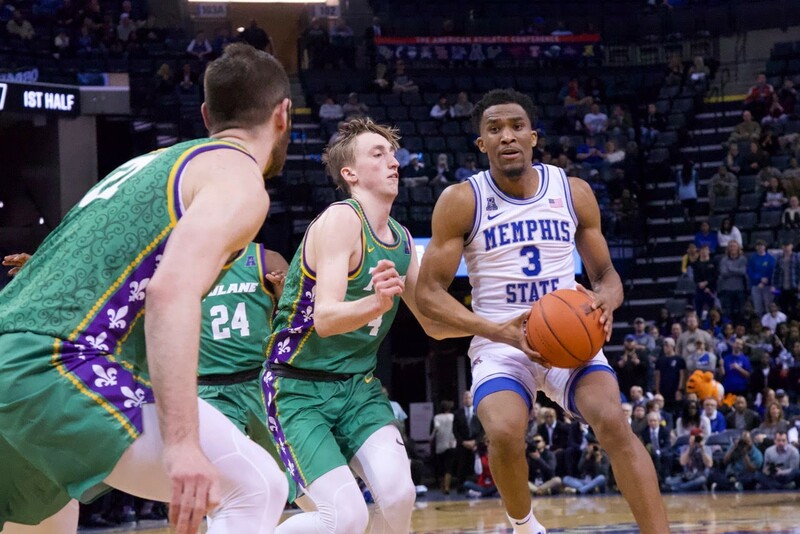 Martin's 43 points — and the 400th assist of his career — led the way Wednesday night in a lopsided win over Tulane at FedExForum. "Shout-out to God for putting me in this position," said Martin after surpassing Mike Butler for 15th on the Tiger career scoring chart (1,412 points). "My teammates wanted me to get it more than I did. They kept looking for me. Coach left me in and said, 'Get 40.' I tried to go with the flow of the game. At this stage of my career, I just want to get the win, get to the [NCAA] tournament." The pride of Mitchell High School connected on 15 of 24 shots from the field, including five of nine three-point attempts. He hit eight of 11 free throws in topping 30 points for the sixth time in his career, twice the total of any other Tiger this century. (Chris Douglas-Roberts had three 30-point games in his three-year career.) 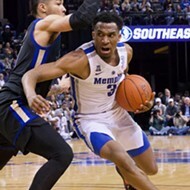 With eight assists, Martin became the fifth Tiger to land in the program's top-20 for points and top-10 for assists (along with Alvin Wright, Andre Turner, Elliot Perry, and Joe Jackson). 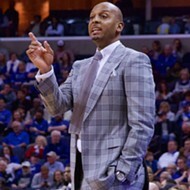 "When he got to about 28 points with about 15 minutes left, I told him to get to 40," said Tiger coach Penny Hardaway. "It wasn't anything to do with Tulane. It was about rewarding Jeremiah for what he's done here for four years." The Tigers dominated the Green Wave start to finish, their only collective slip a 9-0 Tulane run to close the first half, but that merely reduced the Memphis lead to nine points (47-38). Memphis pulled down 56 rebounds, 21 more than Tulane. The Green Wave shot 38 percent from the field while the Tigers connected on 48 percent of their attempts. Memphis improves to 16-11 for the season and 8-6 in the American Athletic Conference while Tulane drops to 4-21 (0-13). Senior forward Kyvon Davenport posted his ninth double-double of the season (10 points and 15 rebounds), and three other Tigers reached double figures in the scoring column in support of Martin: Tyler Harris (16 points), Raynere Thornton (14), and Kareem Brewton (13). But this was an early version of Senior Night for a player who averaged 2.7 points as a freshman three long years (and two coaches) ago. "I don't try and take a lot of credit," said Hardaway, "but it's our system that's allowed [Martin] to do this, putting him in winning situations. He's doing the work, and he's putting the ball in the basket at a high volume. With us being NBA guys, that's what we do, we've always got big numbers. You try to make his job easy, get him easy looks." 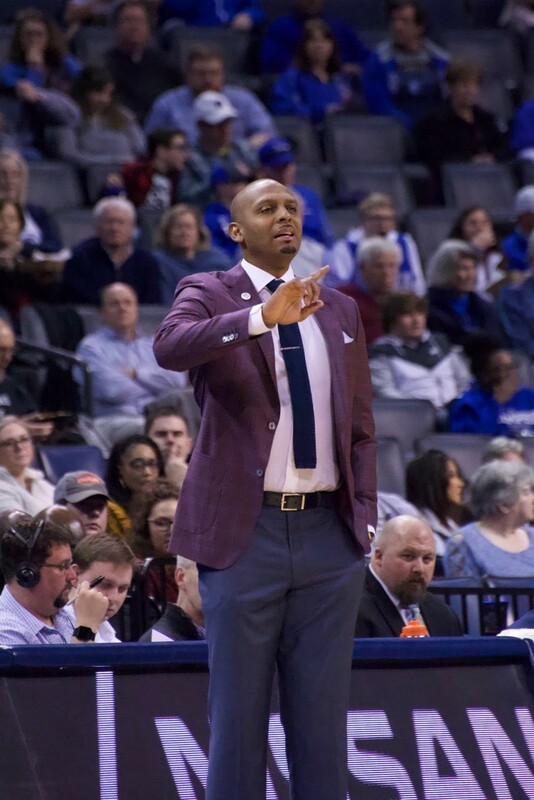 Tiger assistant coach Tony Madlock pointed out to the team that if it wins the rest of its home games this season, an NCAA tournament berth awaits. The catch, of course, is that an automatic tournament bid goes to the winner of the AAC tournament, which will be played at FedExForum. Basic match, but a healthy motivator as February leans toward March. "My whole goal with this team is to build," added Hardaway, "to be sharp for the AAC tournament [March 14-17]. We want to be in the top four, and have a bye on the first day. We have the opportunity to do something special here, but we have to get the rotation down and be on our stuff."